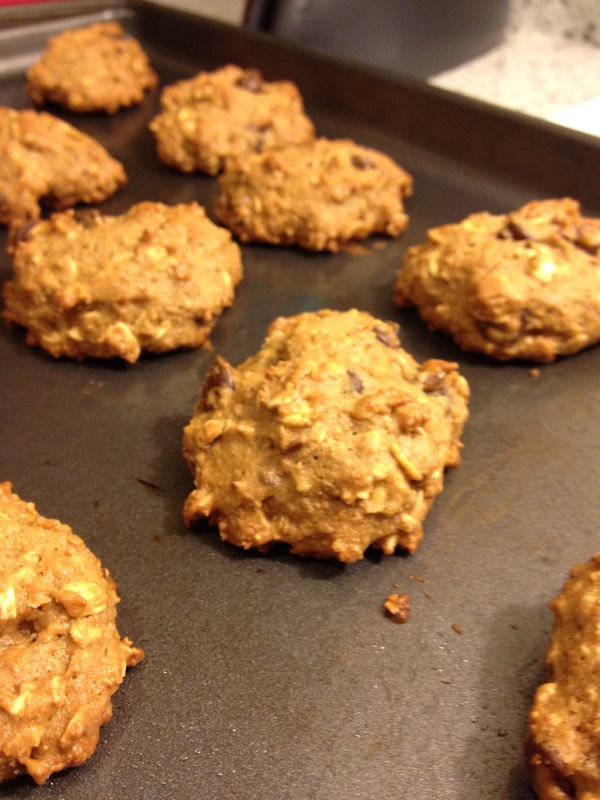 Whole Wheat Oatmeal Chocolate Chip Cookies – Tri. Hack. Eat. My name is Shelbi and I’m a full time student at the University of Calgary. A couple of months ago, one of my roommates began making green smoothies. For those of you who are unaware of what a green smoothie is, allow me. It is an ugly concoction of leafy green vegetables such as spinach and kale mixed with fruits and other healthy additives such as chia seeds. At first I was disgusted with them but after she made me try one of hers, I soon jumped on the green smoothie train. This is what has inspired me to make healthier choices when it comes to the food I put into my body. So far it has been going good. Aside from the occasional cheat meal (couldn’t resist Peter’s Drive In last weekend with the roommates,) I’ve been eating a good amount of fresh, nutrient rich foods. However, this past week I had a massssssive craving for cookies. I turned to the internet in search of a semi-healthy cookie and found this: whole wheat oatmeal chocolate chip cookies. I made a few changes to the recipe and when I make them again I may tweak some more. In a bowl, mix the oats, flour, baking soda and salt. In a separate bowl, beat the butter until it’s fluffy. Mix the applesauce, sugars, eggs and vanilla extract in. Once these ingredients are mixed, add the dry ingedients a bit at a time. Lastly, mix in the chocolate chips. Drop spoonfuls (roughly a tablespoon) of the dough onto a greased cookie sheet. As soon as they came out of the oven, my roommates were all over them like white on rice and they loved them! Not bad for semi-healthy cookies.